" I liked the way you showed related titles/movies with similar themes"
A Story of Love - For a Woman, For a Brother, and For God. Matthew Modine and Lara Flynn Boyle turn in heartfelt performances as Jacob and Rachel in this poignant romance. 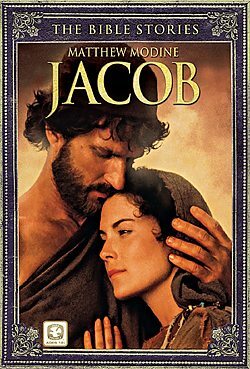 Jacob agrees to work for seven years in order to marry the woman he loves, only to be deceived by her father. Forced to start a family with another woman, Jacob agrees to continue his labor in order to win the love of his life. Produced in 1994 - Film has been restored and remastered from High Definition Sources! This remastered film is also available in the 4 Disc Collection of "In the Beginning"
Format: DVD - Region 1 What's a Region Code? Public Performance Rights: Five Mile River Films, Ltd. The greatest story of all time has been restored and remastered from High Definition Sources! Academy Award-winner Ben Kingsley (Gandhi) is MOSES in this awe-inspiring tale of an ordinary man called upon by God to become a great leader. Brother against brother in a classic tale of envy and greed. The inspiring story of their family through four generations. Real Inspiring. Thank you Christian Cinema. The whole family enjoyed Jacob. This is history worth studying. And Joseph is a very good movie to follow Jacob.